Merry Christmas, everyone! It’s Friday, and that means another Primal Blueprint Real Life Story from a Mark’s Daily Apple reader. If you have your own success story and would like to share it with me and the Mark’s Daily Apple community please contact me here. I’ll continue to publish these each Friday as long as they keep coming in. Thank you for reading! My name’s Anita and for 5 years now, I have been moving toward a more Primal life. I started by reading Gary Taubes’ Good Calories, Bad Calories and felt so motivated to change. My mom had just died a month before, and she was morbidly obese most of my life. If it weren’t for the fact that she’d lost so much weight being ill, I wouldn’t have been able to nurse her those last few months. That scared me. I grew up very active being a competitive swimmer as a kid. When I turned 14, I injured my knees and had to give up my swimming career. I was devastated. I turned to drugs, alcohol and cigarettes to fill the void. After four years of poisoning my body, I quit all three cold turkey and haven’t looked back since. Success! Not quite, from about the age of four or so, I developed a nasty addiction to sugar. I used to sneak pudding cups, whole pies from the freezer, concentrated frozen lemonade and jello packages from the pantry and hide the evidence under the couch, or out in the backyard. Even though I got sick from too much sugar many, many times over the years, I have not successfully given it up. I have been reading Mark’s Daily Apple for five years. In that time, I’ve managed to ditch shoes and go mostly barefoot all summer. I’ve cleared my pantry of all grains and only have honey in the house. I got rid of plastic and the microwave. I make my own chicken, beef, pork and fish broths and now cook from scratch 99% of the time. I grow my own veggies in the backyard and make my own compost. I purchase two free-range pigs, and a 1/4 free-range cow each year from my friend’s farm. He also supplies us with free-range eggs and non-pasteurized, non-homogenized honey (it’s the stuff I sell). My kids have never taken sandwiches to school and eat only Primal lunches. We sleep in darkened rooms, with the heat down. Those are my Primal successes. My Primal failure is that over the past year, I have gained 40+ pounds. I found out last December that I would be losing my job sometime in 2015 and my husband told me he was moving out in the spring. Given that we were in full holiday mode, I ate my way through my emotions and the holidays. In January, my office was moved to a remote location and I was physically isolated. I tried to stay positive but it was tough. I was still swimming three times a week and felt I would be okay. Then my husband moved out in late June and I struggled not having the kids in my house; I became a single mom every other week. And I struggle(d) with that new identity. Enter sugar. It comforted me, and made me feel so hungover, but I felt it would get me through. Six weeks later after he moved out, I lost my job. I was okay with that as I had 14 years of experience, and had confidence I would land a job in another department with the same company. Then I got a phone call six weeks later, in mid-September, from my doctor asking me to have a mammogram due to my family history. The results of that mammogram lead to a lumpectomy in mid-November. I struggled with my confidence in interviews and wasn’t aggressive enough in my resumes. As a result, I haven’t found a job. But I did find sugar and pizza to help me through. The biopsy came back negative (no cancer!) which is great. But I am now 10 days away from my severance ending with this company. And I’m now 40+ pounds heavier. So, what have I done wrong? I’ve given into this sugar addiction when I felt I couldn’t cope. At times I don’t care and have just gone crazy with it. I still read MDA daily but feel like I’m a poor representative of Primal living. I’ve given up exercising because I keep injuring myself and frankly, I haven’t felt like it at times. I’ve stayed up later than I should which makes me CRAVE sugar the next day making it hard to not give in. What have I done right? I still read MDA every day and it gives me hope. I still cook from scratch and eat in a very Primal way, save for my extra sugar and junk intake. If I eliminate those, the weight would come right off. I’ve stopped making excuses. I see what I’m doing and am taking ownership. I do five double leg pull-ups each day, 10 wall push-ups and 10 second planks. That’s all I can manage right now, as I heal from my surgery and nurse these other injuries. I’m hoping at some point to kick this sugar addiction. For me, it has to be 100% off added sugar. Anything less than that and the physiological response is too great, and I feel like I’m going mental if I don’t quiet the screaming urge for sugar. I hope to get there some day and I’ve now got friends supporting me in this goal. I’ve included 1 picture of me, taken in August of this year. Since this time, I’ve probably gained 15 pounds. But I’m not ashamed of my “failure.” I do see this as a learning opportunity, and I know that this is a far better way of living than I had five+ years ago. Even if I have gained weight, I know my body is still benefiting from all the Primal eating I do. For anyone struggling with an addiction, seek an outside group to help you through. And know you’re not alone. I still love the Friday Success Stories because they give me hope that someday I might shed the weight again. 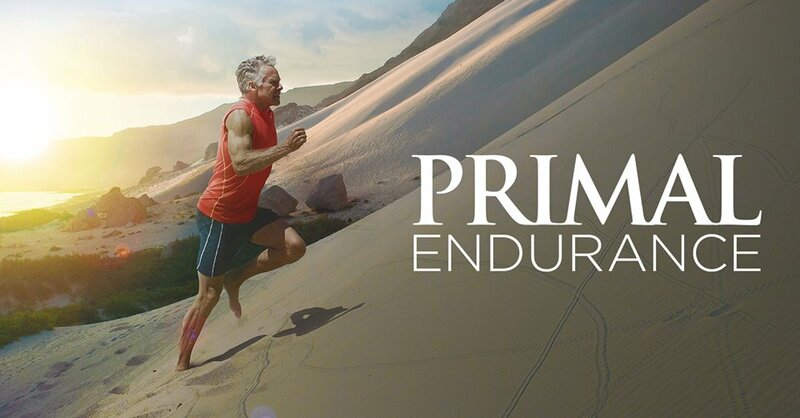 I wish you all the best on your Primal journey. < Previous postDo You Have Something To Look Forward To? Anita, a cheap blood sugar monitor might help you. It’s one thing to know that eating sugar is bad for you, and quite another to actually see what it’s doing in your blood. Experiment for a couple of weeks, take your readings before and an hour after you eat a variety of meals. Once you can get your range steady, close to a flat line, you won’t have those sugar cravings. Cookies can lie to you, a blood sugar monitor is like a truth detector. Hang in there, when your life takes an upturn you’ll want your body ready to take you on new adventures. I need a lot of metrics when I’m getting back on track (yeah, I get on and off the primal train more than I care to admit) and the monitor helps me lots. You’re living your life – which is bound to have numerous ups and downs (and diet often mirrors those). No failure! Just a moment in time that will change. Your attitude is what will make the difference in the long run and you’ve got a very good one. I appreciate an honest account from someone who’s in it for the long haul. Loved your story Anita. I have a sneaking suspicion you will come out of all this in flying colors. You know too much of the right stuff to fail. I wish you the best this holiday season and for a successful new year. Your girls are darling. Grokette on! Anita, I can totally relate. I have let problems turn me back to sugar as an emotional crutch, even after 2.5 years of primal success. Life can take a dump on anyone, and it can be tough. Thank you for sharing, and here is hoping that all of us dealing with sugar addiction have a more successful 2016. It’s within our grasp. ???? I can relate, I too am a sugar junky. Maybe a sharp change of habits during the sharp change’s in your life would be good. Trying intermittent fasting, get out for some walking,go play with friends and family. I am hopeful for you, go forth and be primal. As for carbs, I had to drop down to less than 25gr. Per day for over a month to reach that,sweet spot of kenosis. Of course there is the dreaded carb flu to get though. But once you get though It…. I agree, intermittent fasting helps. I know how loudly sugar can call out to a sugar junkie (I am one), but IF really can help with the cravings – just start very slowly, and build on that. You can do it! And when you slip (and we all do – I know what it’s like to keep going back for another no matter how woozy you already are from the sugar rush), forgive yourself and move on. Thank you for sharing your “Failure Story.” I, also, need to get back to my 90% Primal ways and lose some fat again. It’s reassuring to know I am not alone. 20-ish lbs to go! Here’s the major difference between sugar and cigarettes, alcohol and drug – no one needs those to survive. However, our body runs partly on sugar and we all need to eat. And I don’t mean added sugar. Sugar appears naturally in all plants and all carbohydrates (save for fructose) are converted to sugar. So we all have insulin responses to food, even one of pure protein, and glucose is always present in our blood and is the preferred fuel for our brain. These factor make sugar addiction particularly difficult because no matter how clean our diet is, we are always converting and processing sugar. It would be like if every glass of water turned into 3% alcohol in our gut.You can image how hard it would be to tell an alcoholic to “just stop drinking” when they constantly have alcohol in their system weather they drink alcohol or not. A good diet shouldn’t leave someone so wound up that a mere taste of sugar sends them on a downhill spiral. This all or nothing mentality and demonizing of sugar is the problem. One should be able to have the occasional cup of ice cream, a biscuit, slice of cake, pizza without crashing and burning and gaining weight. I started allowing myself sweets once a week, every single week for the last one year and I’ve lost all my excess weight. I keep a fixed calorie limit of about 1500 calories allocated to sweets like chocolate, ice cream and biscuits. This is what has been effective in keeping me on track. Having one chocolate bar or a pint of ice cream once a week doesn’t magically send me on a rollercoaster and make me eat a half gallon. But in previous years, when I didn’t allow myself a controlled amount, then a little wasn’t enough and I ended up overeating sweets, especially when stressed. The rest of my food is whole and unprocessed food. But some of us are more sensitive to sugar just like some people are more sensitive to drugs and alcohol. Did you know sugar hits the dopamine pleasure centers in your brain and is 10 times as addicting as heroin? I found this out while doing research for my Masters Degree in Nursing this summer. I am a sugar addict and understand the sneaking of sugary foods as a child. Since cutting out sugar completely in July I feel so much better but when I am stressed, the urge to eat sugary foods is overwhelming. I have never been able to cut sugar from my diet before and I have tried several hundred times in the past. I am not sure why it has worked this time but right now I am up 5 pounds from endulging over Christmas and am struggling to get back on track with my clean eating. I start out strong in the morning but by mid afternoon the last 3 days I have caved. I am going to get back on track today because I really feel much better when I am not eating sugar. I just have to be strong and get a few clean days under my belt because withdrawal from sugar is hard. It felt like I had the flu when I did it in July but it should be much easier this time. If you have never experienced it you shouldn’t say anything because you don’t understand. Even a piece of fruit sends me looking for more sugar. I have to cut out every source of sugar that I know of in order not to crave it. Yes, I know there are naturally occurring sugars in everything so I try to limit my food to low sugar things only, otherwise it is a struggle. Only an addict can understand. People are different, they respond to “indulgences” in different ways. Some people, like what you are describing, are happier and more successful having an occasional indulgence. Others, like me, are happier and more successful with the “never touch the stuff” mentality. It is WAY easier for me to not eat a square of a chocolate bar than to stop at one square and not eat the whole bar. If I eat one square and leave the rest for later I feel deprived. If I don’t buy it at all or pass on it when offered, I feel fine. It’s behavioral science, check out “Better Than Before” for a more detailed explanation. And some people who have all or nothing personalities can’t handle this. I know my self control is not the best. I am constantly on a path and will be for as long as I live. I appreciate Anita sharing her story. I too find if I start reintroducing sugar even 1 day at a time, I can look up and find myself eating something every single day. It very quickly can spiral out of control so the “moderation” mentality doesn’t work for me either. I also wish that I could see story from people who don’t have such a drastic way to go. When you are a person who your whole life could stand to get rid 10 -15 pounds and you watch other people around you lose your entire body weight and get into smaller clothes than you, it’s a bit challenging to find how some of this is relevant for you. When you are a smaller person than others, but maybe not at your optimal size, others around you never understand why you would want to do better. Anita, thank you for your honesty! You are not your weight. You are a huge success story in so many ways! Honor that. I so appreciate your frankness about your struggle with sugar. It’s my downfall too. For me, sugar directly and severely affects my moods; it triggers depressions as well as cravings, and it lies to me, telling me “just a little” will console me. Actually it does the opposite. I can’t keep sugar in any form in the house, or it owns me. And the holidays are tough! A part of me still thinks chocolate will fix things, even though I know from bitter experience how untrue that is. A day at a time, then. Please be compassionate with yourself. You’re on the right path! Sending you good thoughts. I am on the never ending sugar addiction, that’s how I feel most days. Just gotta keep on trying. I won’t give up! +100. I have low blood sugar and a family history of diabetes. I can’t afford to consume gram after gram of worthless sugar. And I definitely feel the effects on my mood, energy, and life in general. It’s frustrating, especially around the holidays, to have other people pushing cookies and cakes and candy at you saying ‘just a little won’t hurt!’ but for me, it does. It really does. It will leave me moody and depressed for days, no energy or desire to workout or go for a walk, and it takes its toll on all of my body systems. My menstrual cyles are heavier and I have way more cramping, low back pain, and bloating. You’d think it would be easier to stay away from it, knowing how miserable it feels to be eating sweets, but it is still a constant struggle. I agree that a support group can help tremendously. I often feel like the only person that eats this way, and still struggles with these effects. Thanks for your honesty, and best wishes on your journey. Sending so much witnessing, love and compassion, Anita. Thank you for sharing such a beautifully authentic, honest story. Please know that your successes are still huge ones. Know too that you are not alone. This “being human” stuff can be really, really hard. In moving from a place of such honesty–and such heart-felt intention–there is an abundance of hope for more success and less struggle. Hang in there. A teacher of mine offered a wonderful practice recently: He said try to notice what’s working (even a little thing). Then do 2% more of that thing. Slowly, slowly with much ease, that simple act of noticing and doing just 2% more can change the entire trajectory of a path, the entire direction of a life. Blessings to you, and thank you again for sharing your story. You’ll get there! You’ve battled extremely difficult challenges, and everyone has their ups and downs. Take it for what it’s worth, but when I was drastically reducing my nightly sweet tooth, instead of reaching for ice cream or cookies, I’d have a little cheese. A good, salty cheese like Comte or even Parmesan satisfies the salty AND sweet tooth and it’s satiating. ???? Cheese! I also find this works for me though I tend to gravitate towards brie or cheddar. I too read MDA regularly but struggle maintaining a healthy lifestyle. Thanks for sharing Anita, that took tremendous strength. Try AA [alcoholics anonymous]. My wife says I am not one…. It fixed my underlying issues that caused various addictive behaviors I was doing. Mostly NOT alcohol related. Just got back from our Christmas Alcathon. Saw some friends I haven’t seen in years. Best thing I do to keep my problems under control [period]. Thanks so much for sharing, Anita! With your mindset I’m sure you will come around, but it may take some experimenting. I’m wondering if instead of trying to stop sugar cold turkey, which may result in bingeing and giving up and feeling like you are failing…if you start by just making sure you eat a hefty dose of good fat whenever you eat sugar. Sometimes fat will satisfy hunger, and possibly cravings. Then you can gradually back down on the sugar until you can rely on healthy fats for energy, and comfort. One thing I do is blend macadamia nuts in the food processor until they turn to butter, then blend in melted low sugar chocolate. I actually use 100% cacao myself, because the macadamia nuts make it taste sweet, but you can see what works. A lot of people are posting “fat bombs” on their blogs, check them out. Maybe you could find some things you like. Since most of us grew up feeling like eating fat is a bad thing, maybe it could satisfy some cravings. Best wishes, I think you’ll get there. And with your beautiful daughters cheering you on, I hope you will have a great new year!!! This is a genius suggestion… I have a bag of hazelnuts in my pantry that I got to make my own nutella and never did. Now seems like a good time! It’s so honest and *real. * I guarantee there are thousands of people who can relate, but very few of them will take the time to leave a comment. Speaking as a nutritionist, believe me, even the “pros” struggle from time to time. We wouldn’t be human if we didn’t. Whether it’s too much sugar, inadequate sleep, not enough physical movement, too much stress, we all stumble here and there. I have a couple of bad habits that I know are holding up the last few pounds for myself. I know what they are; I know I need to stop them, but I guess I’m just not ready to let go of them yet, or I already would have. The important thing is, you know where you’re tripping up, and you already know how to fix it. It’s just a matter of getting to a place where you’re *ready* to fix it, and maybe that’ll take some time. And that’s okay. Just do the best you can until you get there. You have a good perspective on it: if you’re doing many good things for your health and wellbeing, then sure, lots of excess sugar still isn’t *good* for you, but imagine how much more damaging it would be if you combined those sugar excursions with an otherwise “standard American diet,” and a completely sedentary & stressed-out existence. Thanks again for your honesty, Anita. Yours is probably one of my favorite Friday stories now. Honey is just as addictive as other sugar, so fuels sugar addiction. It is still 40% fructose, which causes insulin resistance. I have given up the grains pretty well, and I have shifted away from the amount of sugar that I used to eat, but I haven’t given it up, that’s for sure. I don’t feel addicted exactly, but I am thinking I should downshift again. Good luck Anita! I’ve never been a “sugar-holic,” but there have been periods where I ate a lot more candy, ice cream, and fruit than I knew I should have. Fruit especially when in season. Buy a small watermelon every few days. Similar to you, my life went kind of topsy-turvy in June this year. My already ignored diet standards got worse. And way too much of everything, both the good and the bad. As I landed in my new home state in a dingy apartment vs. waterfront in Florida, I continued my slide. Plenty of frozen little pie servings in the freezer, bread, and………..fruit. I gained 13 pounds in six months. I had done no monitoring of FBG, weight, or BP in these many months. I got my scale out of storage and stared at it for six weeks before I screwed up my courage and got on it. I checked my FBG, and it was hideous. Sorry, didn’t mean to talk so much about myself. Here’s the bottom line, at least for me: Just like your other addictions, it’s only cold turkey that works. Also, don’t buy the crap and you won’t have it around. You obviously have a lot of support here, Anita. And the good news is that while you are overweight, you are a very attractive woman, said without qualifiers. You are awesome and your story really connected with me. Thank you for posting it. About a year ago I lost my job and broke up with my boyfriend within 4 weeks of each other so this story hits home. It was devastating and I used food to numb the pain. I also have been primal for a few years and have gone up and down in weight but I never have considered giving up on this lifestyle. It just grows and develops with you through life’s ups and downs. Getting accustomed to the single life and searching for a job at the same time was super tough. I found a job after a few months but still struggle with being single..so I wish you all the luck in the world with finding a new job and getting through this hard patch. Thanks for sharing and keep up the good work!! Thank you for sharing your story. I am on your side. Thanks, Anita, for writing something real. I can’t identify with most success stories because I have never had the success that it seems like everyone else has being primal. I’m always tired and I never lose weight, even when I go draconian with my eating (meaning 100% primal). It’s frustrating beyond belief, and when I fall off I fall hard, and sugar is definitely my downfall. I can eat sugar all day long and still want more. It’s like I have no monitoring or regulatory capabilities when it comes to sugar. I have 30 pounds to lose myself. I know how hard it is. It’s dispiriting every single day. Anyway, I wish you all the best as you move forward from here. You got this!! Anita, there is so much hope in your story! I would hardly call it a failure. We all have setbacks, we are not perfect. I make changes when I get uncomfortable enough. I’d say that’s where you are with sugar. I wish you all the best. 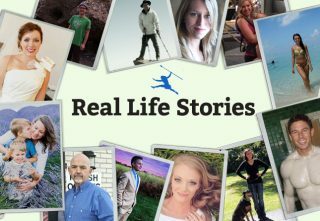 This is one of my favorite Friday Primal Blueprint Stories! You are not alone. I could have wrote this myself, I’m in the same situation right now, but I know that eventually I will quit the sugar again. Good luck on your journey and thankyou for your honesty…it’s so comforting to know I’m not alone with this. Hi Anita, have you considered the possibility of a candida or bacterial overgrowth (SIBO)? I always craved sugar and carbs at inconvenient times until i did a 2 week candida cleanse with a kit you can pick up from most health food stores. My sugar and carb cravings vanished! Night & day difference. We’re all different obviously but i strongly recommend looking into it. Chris Kresser’s site has some good info on these things. Best wishes! I thought, too, that it sounded like candida. It’s the candida that is driving the craving for sugar because it needs sugar to live. Three Lac is a very good product for clearing the candida and so easy to take. OMG there is so much in your story I can relate to. It wasn’t until very recently (like, last two weeks recently) that I saw things can be different – sugar doesn’t have to control you – and weaning off of it doesn’t have to be the worst thing ever. It sounds like you already have a good foundation for getting there. Happy to connect with anybody going through something like this now. Sugar addiction is a highly individualized thing. I used to be a sugar addict and would be again if I wasn’t careful. It isn’t just any kind of sugar that I love. I can ignore candy, sodas, and most kinds of chocolate until hell freezes over, but good homemade pie, cake, and cookies are a different story. I went about a year and a half without eating anything sweet–no honey, no sugar, no stevia, etc., and not even much fruit. Actually, it wasn’t that hard. It took about 5 days to totally lose any cravings for sweets. After that, avoidance became a piece of cake, so to speak. I am now able to eat small amounts of carefully selected sweets without instantly craving more, but I have to be careful. I limit myself to special occasions and portions are never more than a couple of bites. When I say “carefully selected” I mean that the item in question has to be really high quality for me to want it–not just any old store-bought junk with sugar in it. It sure can be a bumpy ride sometimes. Like Amy said, you know what the deal is. Continue your journey, spend time outdoors with your kids, consider strategies that might work for you. And remember, you have survived a tough year! Congratulations. Give yourself credit. Anita, first of all, you look beautiful, even if you are indeed 15 pounds heavier than the photo. I used to run 20-30 a miles week and even taught weight loss classes back in the 80’s. I was 5’2″, 105 pounds.Now I’m 55 and weigh between 140-150, which is difficult to share on a site like this. I home school my 12 year old who is on the autism spectrum which has cut into my exercise program. I’m also experiencing difficult changes in my personal life and suffered an illness 6 years ago which left me with IBS and gastritis. At this point in life, feeling well is more important to me than weight. You are making so many good food choices. I used to struggle with sugar cravings, so I know what that’s like. I use dark chocolate now dipped in almond butter or fresh fruit. But I’m not tooting my own horn; it’s mostly all my tummy problems that weaned me off the sugar. Sometimes life throws us curves. You can’t underestimate the role stress plays, and I think you’re doing remarkably well. Please be good to yourself, as my father used to say, and enjoy your beautiful daughters.I will be thinking of you as I move forward also. Anita there is so many positives to take from your story, and I think your honesty will help lots of others out there. Like someone else wrote, I found that if I eat something quite salty or with a strong flavour (chilli for example), the craving for something sweet diminishes or disappears! It’s worth a try! I do hope you manage find yourself back in the rhythm that will suit your body the best and you soon feel like you can conquer anything! I tell people I’m healthy because I eat a good diet, and I’m overweight because I eat a bad diet as well. Between those proteins, fats, and veggies, I was downing mugs of milky tea with five spoons of sugar, and a ton of cookies to go with them. Sugar is definitely mood-altering. They told me at my support group to drink sugary drinks because the body metabolizes sugar in much the same way it metabolizes alcohol. Twenty years later, I don’t self-medicate with alcohol but with sugar. Here’s a tip. It sounds crazy, but it worked for me. Imagine a big rubber stamp with the word “NO” on it. Every time you think about eating or drinking something sugary, imagine that stamp crashing down hard on your thought, leaving a big red “NO” across it. Picture it vividly. You soon learn not to have those thoughts. Focus on what you do have and what you have done and most importantly what you DO want, and not on what you do not want, this helps me to cope with challenges. You have 2 wonderful healthy children and you have a success formula you know works! Take it a meal at a time and look for a way to give yourself small rewards for each time/ meal you are primal. Anita, you will make it.! just make the choice to. You have achieved a lot just being a mom and a wife. Now you can do some things that you have maybe put off until now because you have time now, what will make you happy? If you know what it is then go for it. Anita, your story was raw, and honest, and beautiful. Thank you for sharing your successes as well as your failures. So often we want people to know only the best side of ourselves & it is rare that we share our deeply personal failures. I am such a basket case at home that I’m stunned whenever someone mentions how I always appear so put together. Obviously, I am doing a good job of keeping my insecurities in check. I don’t want to go around airing all my dirty laundry, but I have learned to judge a conversation and know when being honest & open about my own failures would help or encourage the other person. You have done just that with your story. It’s hard to feel like a success when you still struggle or outright fail in certain areas of your life. Your story reminds me to be more compassionate with myself and others, recognizing that no one is a complete success. We all struggle with something. I hope that your 2016 is a blessed year and that you find both success & happiness! Note: I submitted this earlier but it didn’t go through, so apologies if you see it twice! You and your family look beautiful to me. Remember to be gentle with yourself and know there is a whole community on this website pulling for you! Absolutely- we should treat ourselves with kindness, just as we would someone we love. Thank you for sharing your story. I am reading it on 12-26-15, the morning after a very sugary day and can relate to your ongoing struggle with sugar. After 5+ years Primal, it is the one reoccurring challenge I have. Stress management is key for me. Keep on keeping on and know that you are not alone! May 2016 be a better year for you. Thanks for sharing this story Anita. It’s a great contribution to this community and reminds us all to be kind to ourselves as we embrace a primal life. Mark, do you recommend any blogs, books or resources to help folks give up sugar? Especially for those of us who are or have been addicted to it in the past. I have used principles and recipes from Dr. Mark Hyman M.D., ( Blood Sugar Solution) though I change them by also eliminating grains and beans. I’m mostly interested in the inner work that needs to be done… the psychological/spiritual/emotional part of it. Thanks again Anita, and best to you in 2016! Anita, your story truly does fall into the category of a Friday success story. I see no failures in it–only a whole lot of life happening in a very short period of time and a whole lot of coping going on. What we are trying to do here (paleo/primal) is like swimming upstream in downstream world. We have to constantly put effort into it, whether it’s in a grocery store, at a restaurant, at an office filled with doughnut Mondays or whatever. And sometimes we slide and let the current carry us for awhile. And then sometimes, as in your case, someone throws a whole lot of huge boulders in your path! But I sense from the tone of your writings that you have that inner strength to tackle this and right your course again. It sounds like you’ve already started. Here’s to a much better 2016! Wow! I just love all of the supportive comments from everyone! Thank you, thank you, thank you all for your words of kindness, encouragement, love and support. It is for all these things and more that I keep coming back to MDA and staying committed to living the most Primal life I can. I am very hopeful for the future, for all of us. Each day I ask myself what am I going to choose today: to focus on what I don’t have or to focus on what I do. Again, I wish you all the best in your primal (and life) journey. You hang in there Anita! Separation/Divorce is so very, very tough – no wonder you are falling back to comfort foods. You will get through this situation and come out better. Believe me I’ve been there and it was rough for the first few years but then you get stronger and things get better. Definitely you have a lot of successes to be proud of during this difficult time! I also have failed at paleo/primal several times. This time things are different and starting to see the weight slowly come off. For me upping my fat to around 100 grams a day seems to make a world of difference and killed my sugar cravings. I know that this might not work for you as everyone is different so I hope you find something that works for you. Good Luck and keep us updated! Mark, thank you for posting this success story. Anita, I’d bet there are a ton of people who can relate–myself included. I just this morning took back some cookies and crackers to the grocery store (I’d just purchased them, and realized I really, really need to stop fooling myself about this.). 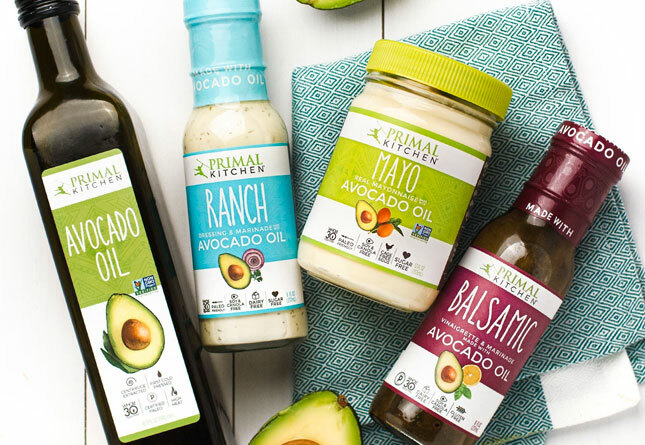 I have in the past successfully gone primal and then…despite the fact that I feel better eating primal, I take the easy route and give in. But I have a new determination, and seeing your story confirmed it. Thank you for your courage and honesty. Wow, you took back some cookies and crackers? Good job!!! The best thing I ever did in stopping the madness of eating what I really didn’t want to eat, altho I was eating it never the less ….. is THIS… I went over to the garbage and spit out the bite in my mouth and then threw the rest of whatever it was in the garbage. It was so empowering that I was able to move forward in breaking the compulsion to eat the bad stuff. I felt a small measure of success at that, too. Thank you for sharing, Anita! A full and complicated story, but one that left me feeling positive and that you can conquer whatever you need to. A success story, to be sure. You are an inspiration to me. My favorite story so far–the one that hits closest to home for me. Thank you so much! I wish you all the best as you get things back on an even keel… be kind to yourself. You look amazing. I understand weight is not just about vanity, but it’s difficult to look at your picture and see you as overweight, even if, as you say, you have an extra 15 pounds since that picture. I say this not to belittle your feelings of failure, but rather to give you a more objective perspective; what you look like from an outsider’s perspective. Having read through the comments I felt compelled to add a comment (my first comment ever as MDA daily reader for the last two years). It seemed to me that everyone was very focused on the sugar addiction and how you need to wrestle that to the ground; and, I do get that this website is nutrition focused. But, it seems to me, you need to stop thinking so much about where you have gone awry nutritionally and focus a bit more on the emotional journey you are on. You clearly know what you ‘should’ be eating. Can I suggest reading the Artist’s Way by Julia Cameron and starting on the daily morning ritual of writing three pages of stream of consciousness prose? I, like you, know my fair share about what I should be doing, but I end up using food as a crutch for my emotional problems. Eating sugar when I feel helpless, and then depriving myself when I feel shame. The exercise of writing those three pages every morning, when I have the discipline (and, especially when I don’t) I have found to be very satisfying and my need for sugar to blunt the emotional turmoil, less. I also want to say how brave you are for sharing your story. Take Care. well, sugar addiction is not your problem, it’s everyone’s problem. It’s 8x more addictive than coccaine! Anita, thank you for sharing your story! As many others have already stated, I find your outlook inspiring and am touched by your willingness to share. I appreciate the raw honesty and hope to be as strong as you in living authentically, something which is lacking in my day to day life. It’s hard to be alive somedays, there is so much to manage and handle and do; and none of the busy-ness seems to have value and matter like I think it should. I think I often lose sight of what is really important, especially when I am stressed and I too make poor decisions about what I put into my body (and it always involves sugar). I hope you are kind to yourself for you have moved through a very difficult time. It seems you have gained further insight and wisdom and I wish you great success as you continue on the journey to become the best possible you. PS the love and support from within this community is what makes the primal tribe amazing!!! I have read every Friday success story, and think each one has something of value to impart, but this one resonates deeply with me. Thanks again! Thank you for sharing this, Anita. You sound wonderful. Best wishes to you. Anita, I have to say that I am incredibly impressed with your courage and your will to fight! To have gone through so much and still raise two beautiful daughters is incredibly impressive! I recently had a friend go through a breast cancer diagnosis (treatments still ongoing for her), and it is so hard to keep going when you feel like your body is failing you. 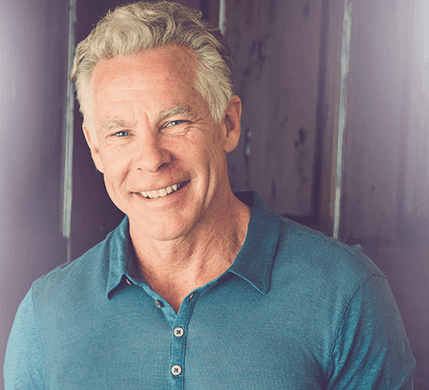 Personally, I am grateful every day that I found the Primal Blueprint, since it really jump started my health journey and helped me break the bad habits I’d developed throughout my life (and develop some new good habits!). I know that I personally still struggle with finding time to work out – I just feel so tired all of the time, even though I eat incredibly well, typically allow myself at least 8.5 hours of sleep a night, and try to take standing and walking breaks at my sedentary job. That being said, Primal Blueprint was not the final piece of the puzzle for me. I was trying to eat low carb and had ZERO energy. Come to find out, women and men react to diet very differently, and it makes biological sense. 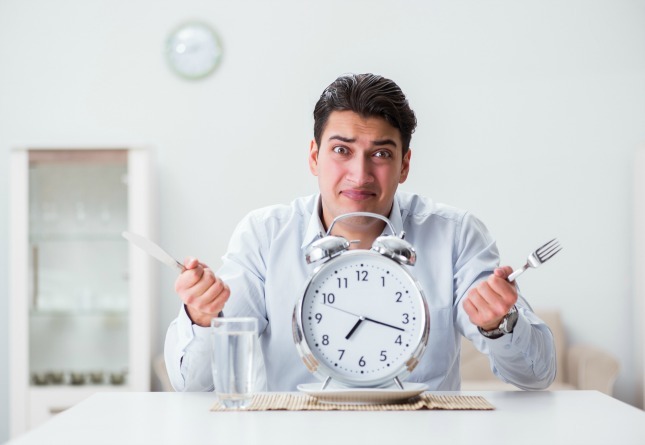 Men have a 24 hour hormone cycle, so they can benefit from fasting, low carb, and even ketogenesis. Women have a 28 DAY hormone cycle, and if even one of those days is thrown off, it can cause havoc days later. As women, our bodies are designed to be vessels for perpetuating the human race, so proper diet is even more important for us. Your sugar cravings really hit home with me, since that is also a place where I struggle (even with fruit based sugars!! I never thought I would get a hangover from eating too many apples!!). You have also been under considerable stress – and Mark has talked about how stress can trigger sugar cravings. Too much sugar is also a form of stress on the body, what a vicious cycle! What you need is a toolbox for breaking this cycle with what and (more importantly) WHEN you eat your foods. I highly recommend you pick up a copy of Alisa Vitti’s Women Code book. She outlines proper methods for WHEN to eat a small amount (1/2 cup) of good quality carbs to help level your blood sugar and reduce cravings. For me, my triggers are potato chips and chocolate. I can eat a whole bag of each. For chocolate, I slowly worked my way up to the super dark organic stuff (which I now LOVE) and is so potent that a couple of pips are enough. When it comes to potato chips, I still cannot control myself very well around them, but I find it is a lot easier to say ‘No’ to them when my blood sugar is level (because I brought food that I can eat) as opposed to when I’m stressed out at a party where the only thing I can eat are potato chips. Enough of my rambling – to Anita and all other primal women reading this, Woman’s code will allow you to still be low carb primal, but will help you with the timing and techniques to keep your blood sugar regulated as a woman! when I binge on sugary foods, I feel like my arthritis pain triples and my joints feel like they are crystalized. It was easier to quit alcohol and tobacco. Quite simply, Anita, you’re stunning. Your honesty and transparency only enhances that. Stay positive ???? I do hope things look up for you soon Anita! It’s lovely to read about everything that you’ve put in place for you and your kids. Does it help to know that you look gorgeous? Honesty is never a failure. Sharing is courage. I’m coming late to this but the love and support of this community will be your strength. Sugar is a demon. Don’t let it corrupt your inner angel. Anita, thanks for sharing. You have already made a positive difference in at least one person’s life! After reading your story, I’ve decided to quit sugar, REALLY quit sugar. You are absolutely right about having to get off it 100%. Moderation doesn’t work. Sugar is the same as alcohol for me. I’m in the early stages of sobriety after years of self-medicating with alcohol. Lately I’ve found myself binging on sugar — but no more. Your story caused me to dump the leftover Christmas cookies into the garbage disposal. And I’m going to focus on living a more primal lifestyle in spite of life’s worst challenges, as you are successfully doing. Thank you for your inspiration! We can truly support each other here at MDA. Focus forward, keep the faith and good things will happen with the New Year. 2.) You are beautiful! Love yourself as unconditionally as you love your kids. Judge no one, that includes you. 3.) Okay, so you flunked the willpower test today. Boo hoo! Guess what? Tomorrow’s another day. 4.) Get up and move. Take those girls for a walk, talk about the silly things that girls talk about. Don’t let the weather get in the way! Case in point: After two days of lazing around on Christmas break, I got up off the couch, started twerking (you should’ve seen the look on my husband’s face), told him “I’m out!” and went outside and saddled up the horse. What I haven’t told you is that it was 12°F and snowing outside and that I’m 50! Guess what, the 70+ string bean, physically fit husband came trotting out, saddled up the other horse and went with me. As we rode by the dining room window, we could see two amazed teenagers! It was far more fun than I could’ve imagined. 5.) Think about all of the things your mom missed out on. That will help you stay on a better track. 6.) The husband of yours? He’s a lightweight. Wasn’t in it for the long haul. Better to find out now than later. Settle it quick and get on with your life. I hope this helps you. If you want a good laugh, just twerk a little bit! Anita, I loved your honesty and the bravery it must have taken to write this all out and share it with the world. You are not a failure, just a work in progress like everyone else. Best of luck on your journey! Great story Anita. Thanks for sharing. I am still currently struggling with alcohol/tabacoo issues and fight every day not to succumb to purchasing either one. Due to constant relationship/work issues I find it diifficult. I read every paleo/crossfit/natural movement related kind of information I could get my hands on. I have turned an empty room nto a home gym and have a gym membership hoping to replace alcohol issues with fitness. I was 40 plus pounds lighter about five years ago and remember being happy and eager to work out daily. I think your story has truly given me the inspiration to due so. Thanks again. Well, it’s pretty late to be writing a response to your story, but maybe you’ll look back at the comments at some point? You have been through so much this year and reading your story I was struck by how similar your health situation is to mine. I’ve also been on and off primal eating since around 2006 and more off than on after having an extremely traumatic year in 2014-2015 (house fire, family member died of cancer, job uncertainty, etc.) I was feeling so awful – tired, lethargic, unmotivated, stressed, etc. and had gained about 20 lbs from eating crap and drinking too much wine. My mom came for a visit and said (in a kind way) that I wasn’t looking well and that maybe I had shot my adrenals. It was like a light bulb went off! I read the book “Diet Cure” by Julia Ross and would highly recommend it. She suggests using amino acids to rebalance your body and end food and sugar cravings. Plus there is information about thyroid and adrenals that might be really helpful for you. I’ve been taking a supplement for my adrenals and feel soooo much better. I just wanted to give my 2 cents since it’s been so helpful for me. 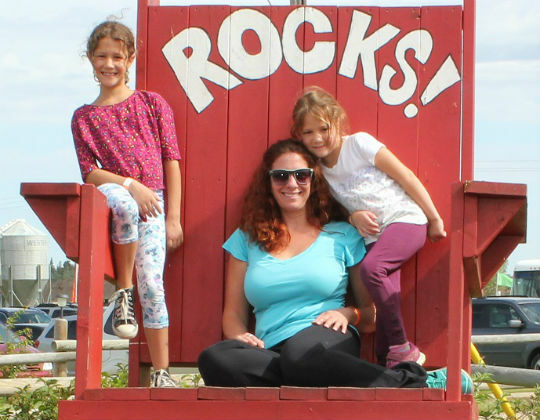 Hang in there – you are beautiful and have two darling girls. This too shall pass and things will get better! Thank you Anita for sharing. I am in my mid twenties and feel so grateful to have resources like MDA (and others) to educate me on how to eat RIGHT (not “common knowledge” nonsense). I am thankful that I am learning this NOW and not in my 40s or 50s. I am hoping that by eating right MOST of the time, I’ll avoid disease and weight issues. That said, I too have ups and downs in nutrition. Sometimes it feels like I take two step forwards, only to take one step back. Life will happen and I’ll fall off the wheel for a time. Other months I’ll do really well only to lax on the basics and find myself eating a SAD diet… It’s frustrating! Sometimes I’ve feel like a phony primal person or ask myself, “why even bother?” When I am frustrated, I’ll avoid reading MDA because I feel like a fake or a failure. I’m trying to fix that punishing mentality. I’ve been researching and applying paleo/primal/low glycemic/whole foods methods for more than three years. When I feel frustrated by my perceived nutrition failures, I remind myself that this is all about long term. I’m not trying to win the race (loose five pounds this month) but win the war (longevity and health!). We are not perfect humans, and its SUPER hard to be perfect with nutrition. Unfortunately, as a species, we are wired to seek out fats and sugars – especially in combination. We have brain reward systems that skyrocket when we eat junk food. Life is hectic and its not right that almost EVERY quick food source is junk/convenience food. Us nutrition warriors are set up for failure at almost every turn. Sometimes it hits me that we have to go way above and beyond to just be healthy or create health. Nutrition is broken in the US at every socio economic level. So this comment is to say THANK YOU for sharing your story. I can truly empathize. Anita, I don’t know if you are still reading this, but if you are – here’s a big hug from a stranger from another country. You are so much better off without that husband who quit midway! And remember the depressing incidents in your life are just that, ‘incidents’ not ‘failures’. Who you are deep down never changes. Have you considered seeing a therapist? My naturopath suggested I try one and that sometimes it takes a couple tries to find the right one. Therapy helped a lot. I also took a couple of supplements for depression. But what helped the most in my paleo journey was doing a whole30. It took the cravings right out of the window for me. No paleo desserts, no paleo junk food.. nothing. Maybe you can try it for 30 or 60 days and see how you feel? 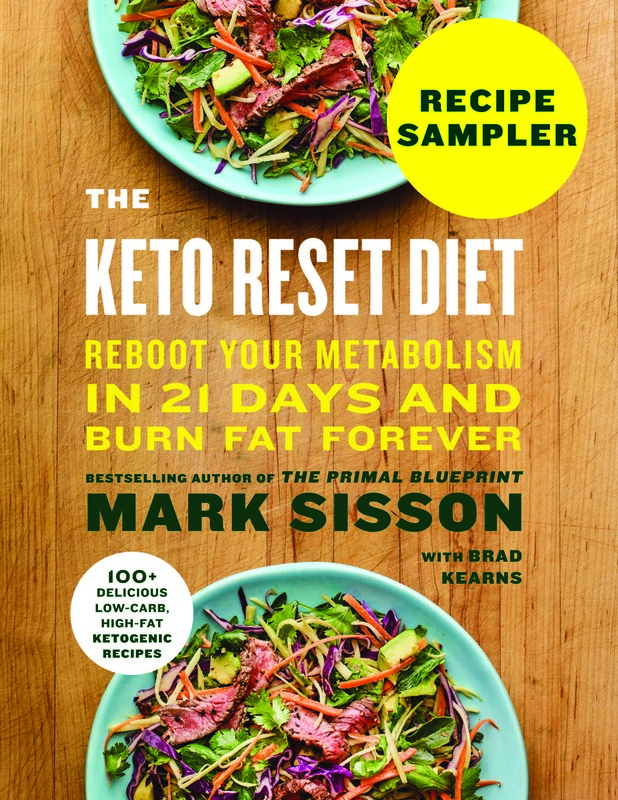 If you find yourself moving away from your paleo journey, think ‘how come?’ and figure what triggered it.. sometimes it could be as simple as ‘I didnt eat breakfast’ or.. there’s nothing to eat… figure out these triggers and find strategies that will mitigate these.. say bulk cook and free in single serve portions.. etc. prep meals during weekends. look at youtube videos for paleo meal prepping…. very inspirational and simple, easy, doable. You can do this, girl! Take care of yourself and put yourself first. I watched a great video today on youtube – 100% responsibility and 0% excuses! look it up. Though they talked about how it worked for a company, I was thinking how it should work in personal life too. Wow I am a while behind the comments but I was looking up the archives of success stories. I found yours and I am happy to find that I am not the only one who seems to not just shed weight quickly like others on the paleo diet. For the last year I have been feeling isolated and alone. 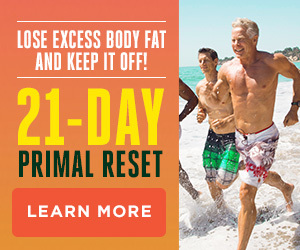 Everyone I read about seems to shed fat quickly and with ease with the Primal way of living. 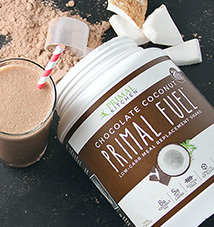 I have had my successes with primal in similar ways as you have. I cook from scratch- I only buy organic, free range-grass fed products. I eliminated dairy other than ghee this past 2 months and plan stay dairy free as much as possible. I dont even miss cheese. But since going primal I gained weigh on the scale. I went from 130s to 151. I was 29% BF but now I am 24% BF. I did loose fat. I know I gained muscle but I still cannot get the rest of my BF down. I have the baby fat in the tummy and excess fat on my thighs. I have a goal fitness level. My trainer says I can easily get there if I stick to my plan and DONT cheat. I dont have the sugar addiction like you, but I cannot seam to understand why I cannot get out of my 151 / 24% BF range. Either I am cheating too often and not realizing it. Or I shouldn’t be cheating at all. (which is so hard !) I notice I go on binges if I try not to cheat for too long. The only time I was able to not cheat was completing my whole 30 which I just finished 2 weeks ago Which worked out great! But now that I am not on the whole 30 and going back to primal I cannot seam to get it together. I am finding I am slowly going back to my old ways of picking at my boyfriends pancakes, eating french fries with my burger, eating rice with my sushi. I am so defeated that I dont even know if its my motivation? But I think you found your battle. You identified the issue. You just need to find some way to conquer it. You will do it and you will figure it out! I hope I can finally figure out what has gotten me to be stuck where I am for the last year. Sorry for the ramble its just nice to let it out!